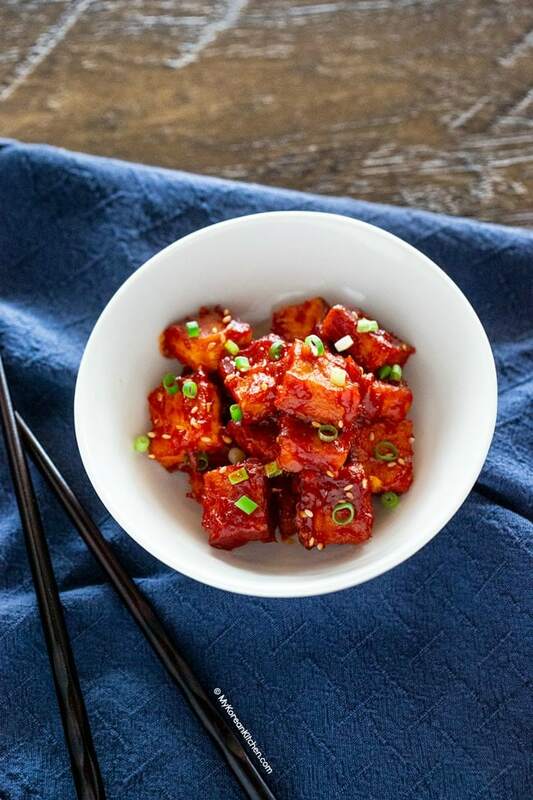 Try this super easy, Korean vegetarian side dish – Korean tofu with spicy Korean ketchup! My mum used to make this spicy ketchup tofu for me when I was a little child. The Korean name for this tofu dish is “Dubu Kecheob Jorim (두부 케첩 조림)”, which literally means braised tofu in ketchup. But in this recipe, tofu is just lightly stirred in the sauce. Also, the sauce consists of more than just the ketchup. Now that some basics are covered, let’s talk about the best way to cook this dish. For the sake of simplicity, I just like to pan fry the tofu in a skillet until all sides are golden brown. While it’s not necessary to cook it until all sides are golden brown, I do think it tastes better if you do. The key is adding the tofu when the skillet is well heated with a generous amount oil, so that it doesn’t stick to the skillet. I normally add even more oil half way through cooking too, so it has a mini “deep frying effect”. Some people go to even further effort by coating the tofu with some corn or potato starch too. (All before pan frying, of course). If this is your cooking style, by all means, go for it. Now you might be intrigued. What is spicy Korean ketchup!? 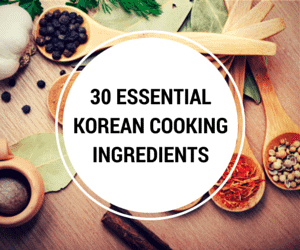 Essentially, it is tomato ketchup mixed with gochujang (Korean chili paste) and a few other seasoning ingredients. It is so quick to whip up! I’m sure some people would love using this sauce on a hamburger or with fries too. It’s so versatile! My mum’s kids friendly version would only use a very small dose of gochujang, so that it’s not overbearing for little ones. Nonetheless, you can up the spice level according to your preference. Though, I find that the ideal spot is adding around 1 Tbsp to 1.5 Tbsp of gochujang . Tofu naturally releases water no matter how well you press it. Therefore, it is best to consume the seasoned tofu after it’s freshly cooked, as the water can start diluting the sauce. It still tastes OK but as time goes by, tofu will look less appealing and less saucy. But if you must, you can store the seasoned tofu in the fridge (in an air tight container) for a day or two. 1. 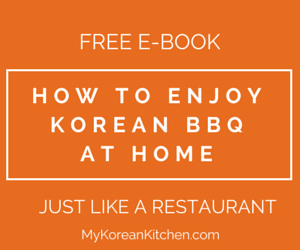 Combine the spicy Korean ketchup sauce ingredients in a bowl. Mix them well and set it aside. 2. 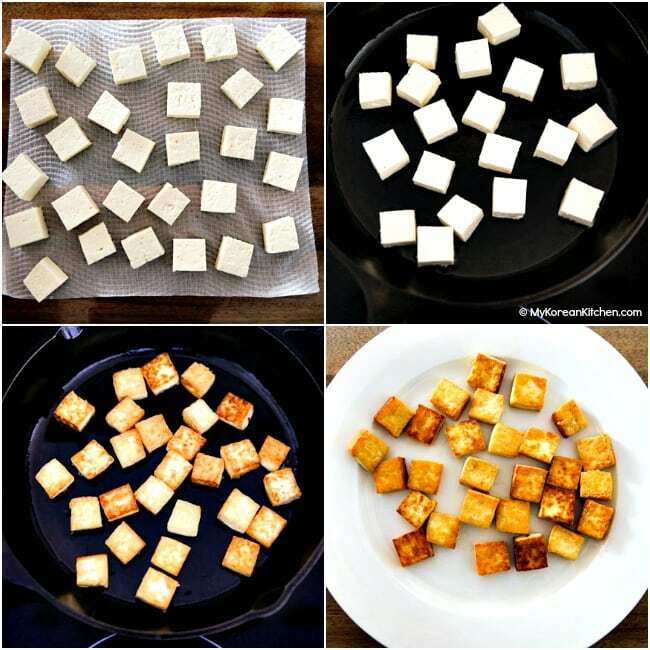 Pat dry the cubed tofu using kitchen paper. You may also want to gently press them down to squeeze more water out. Pan fry the tofu in a skillet over medium high heat until all sides are golden brown. (It will take 2-3 mins on each side.) Remove the tofu from the skillet and set it aside. 3. Pour in the spicy ketchup sauce in the skillet and stir it over medium low heat for about 5 to 10 seconds. Return the tofu to the skillet. Gently coat with the sauce. Sprinkle with sesame seeds and green onions. 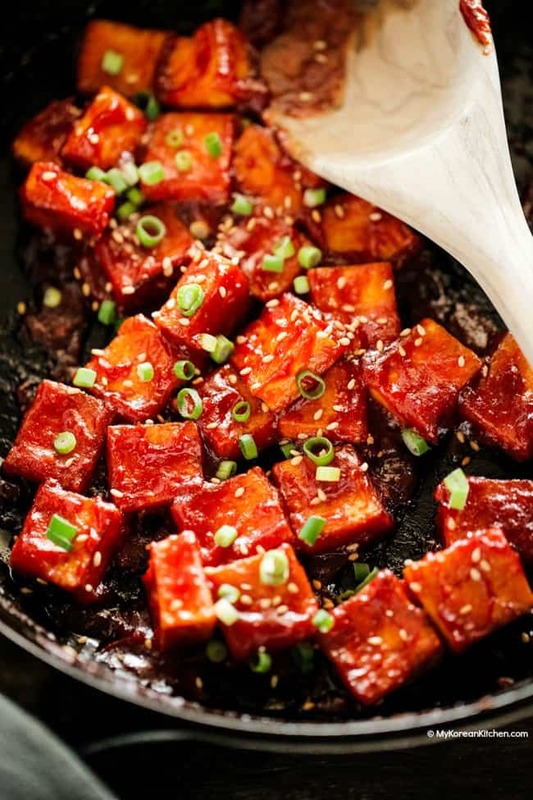 Super easy Korean vegetarian side dish - Korean tofu with spicy Korean ketchup! It has lightly crispy texture outside with the usual soft tofu texture inside. It is then covered with sweet, spicy and lightly tangy sauce. So delicious! 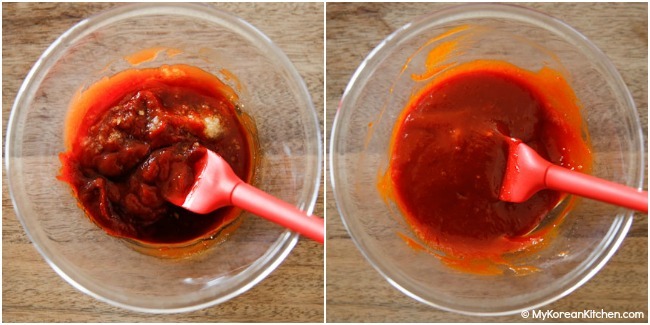 Combine the spicy Korean ketchup sauce ingredients in a bowl. Mix them well and set it aside. Pat dry the cubed tofu using kitchen paper. You may also want to gently press them down to squeeze more water out. Pan fry the tofu in a skillet over medium high heat until all sides are golden brown. (It will take 2-3 mins on each side.) Remove the tofu from the skillet and set it aside. 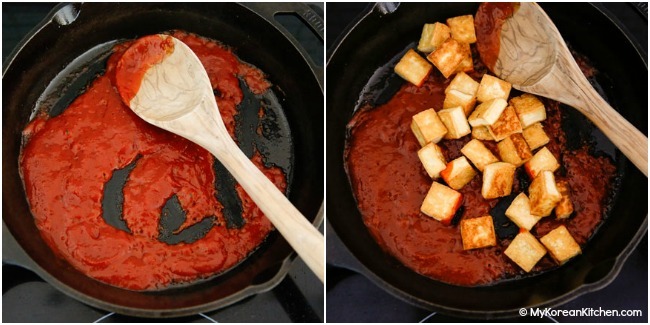 Pour in the spicy ketchup sauce in the skillet and stir it over medium low heat for about 5 to 10 seconds. Return the tofu to the skillet. Gently coat with the sauce. Sprinkle with sesame seeds and green onions. Wonderful! Thank you for such a nice recipe share. I’ve made this twice within the last month. Once for my best friend and I. Then again for myself for something quick when I was in the mood for some tofu, my second time making it I double the amount of gochujang and it was perfect for me (I love my spice). It’s absolutely delicious and everyone loved it! I have saved this recipe and will definitely be making it again. I love your recipes. 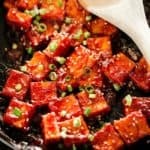 I am no fan of tofu but I want to try this recipe. It looks like I will start liking tofu by the looks of it! Thanks for sharing this recipe. This looks wonderful. I haven’t had tofu in a while, but now I want it! Gochujang is so fabulous. Made this recipe only two hours ago, it was gone in minutes! I made the spicy sauce first to get husband’s take on the taste. We both loved it &now he’s asked if we can have it in the fridge as a regular staple-happy to oblige! I’m so glad! Thanks for sharing your feedback! Sounds delicious. I bet the spicy sweet and hot sauce goes well with the tofu. 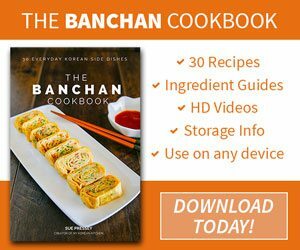 I have noticed that Korean recipes have a lot sugar. Adding a bit of Ceylon Cinnamon powder could cut the need for sugar in half as cinnamon makes food taste sweet. More importantly it counteracts the effects of sugar, so a win win. We would more than happy to send you a complimentary bag of Ceylon Cinnamon to experiment.